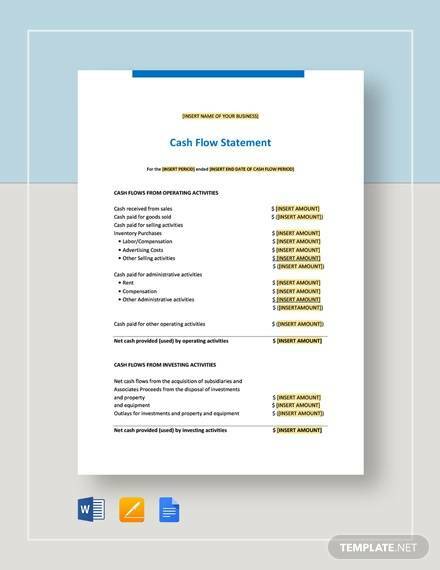 Statement of cash flow template (also known as cash flow statement) is the quarterly financial report of a company or corporation regarding the money status in their investment, Excel, operating activities and financing in specific period of time. It shows the difference and similarities of the balance sheet and income in which it shows the inflow and outflow of cash. 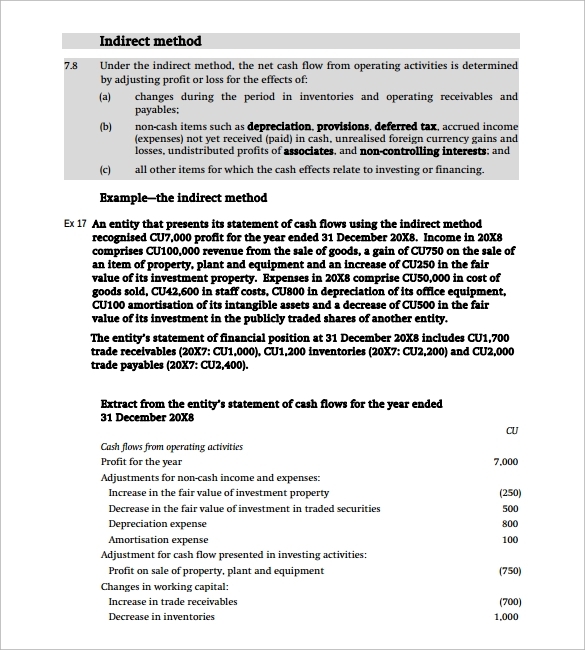 With this report it shows how do the companies income can be increased or decreased, estimate of changes in liabilities and equity, firms liquidity and solvency, to predict and evaluate future Cash Flow Statement. Analysis of cash flow is important for every business. It is necessary because it allows company to know the position of their financial assets in corporate market. 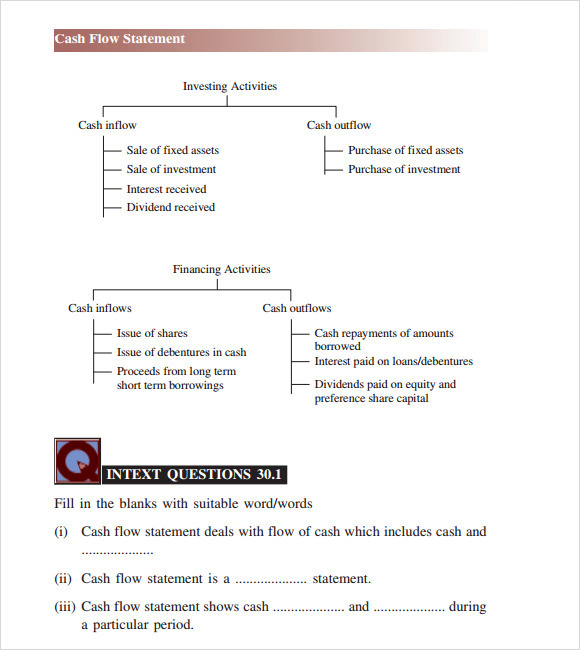 This task is not easy but it becomes convenient with statement of cash flows templates. 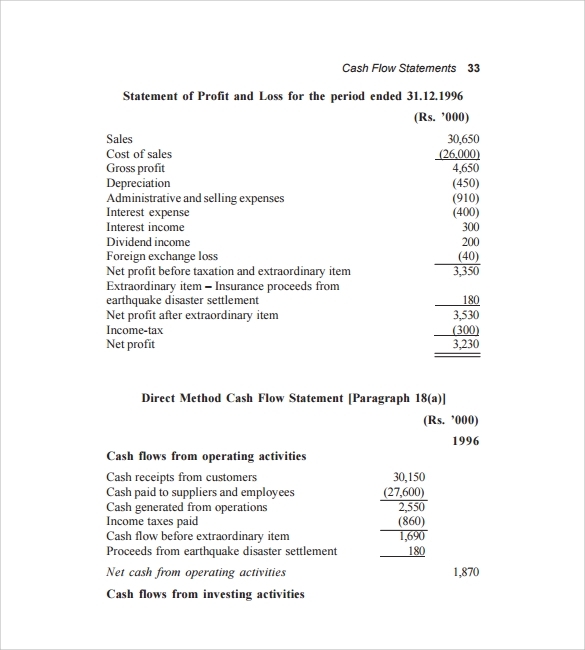 Using statement of cash flows templates is the smartest idea for companies. It is not necessary that you develop the statements because it will require so much time and you don’t necessarily need to do that. You can simply download the template and you will get all the benefits that you expect from perfect analysis of cash flow. 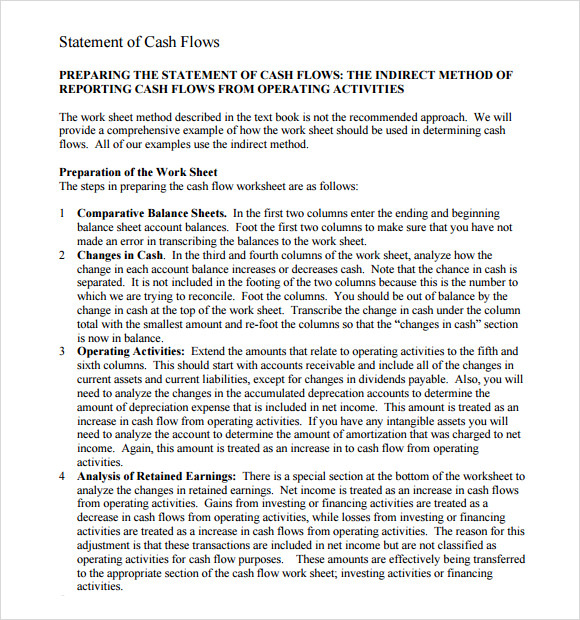 Cash flow analysis method includes many equations and analysis. This process becomes hard when you look for the details. 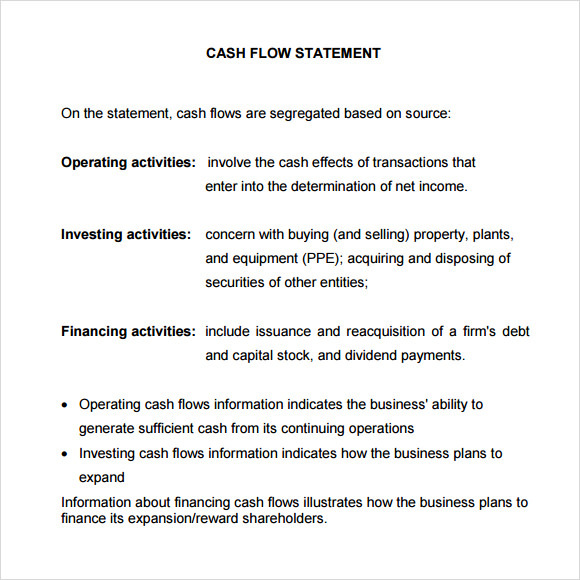 However, making it easy and simple is possible with statement of cash flows templates. These templates are designed to provide highest level efficiency in calculations and analysis in shortest period of time. 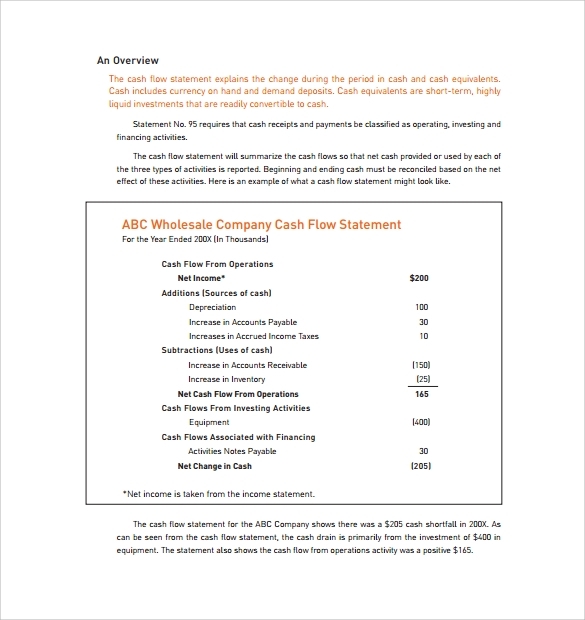 The cash flow becomes highly convenient when you have right statement of cash flows templates for this purpose. Templates allow you to do all the analysis quickly without any possibilities of error. All your calculation and analysis will be completely error free. 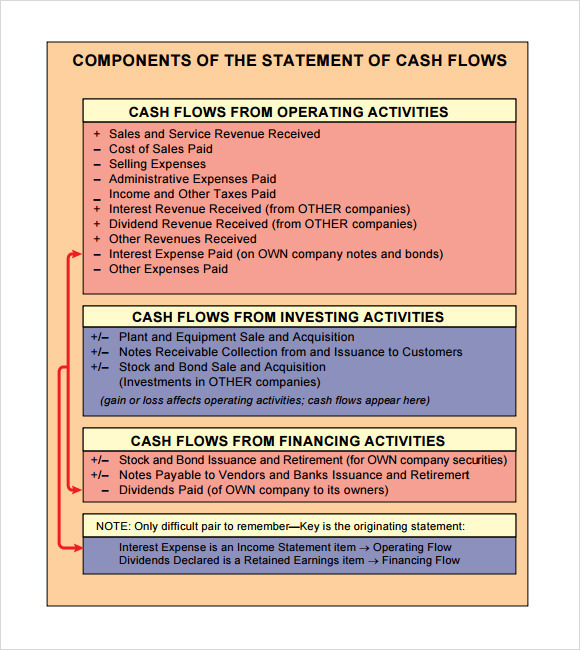 Why do you Need Statement of Cash Flows Templates? There is a requirement of calculation and analysis in every business to determine their business growth and performance. When it is the matter of corporate market analysis for your business then statement of cash flows templates will always work best. Templates are efficient option because they can offer most effective and simple solutions for your complex requirements. Whenever you need to find financial report of your company on the basis of present market trends and financial market then the statement of cash flows will be required. This will be highly assistive for the purpose of company’s state determination and it will allow you to get better results of operations and finance analysis. 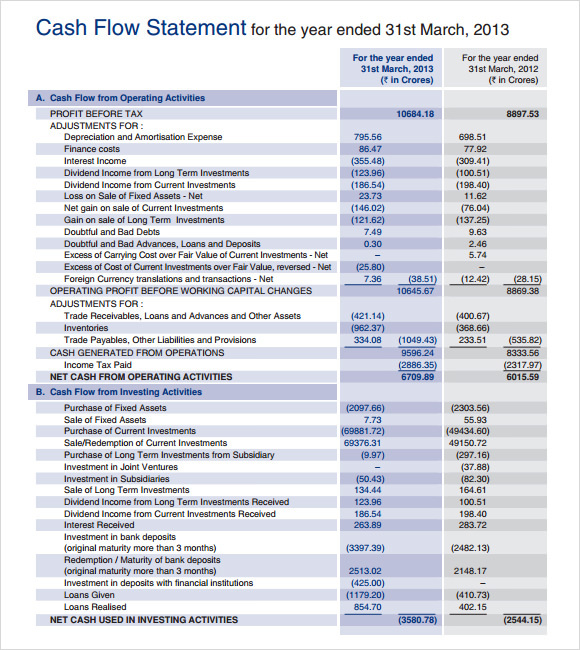 When do you Need Statement of Cash Flows templates? It is not necessary to always necessary touse the complex standard method. 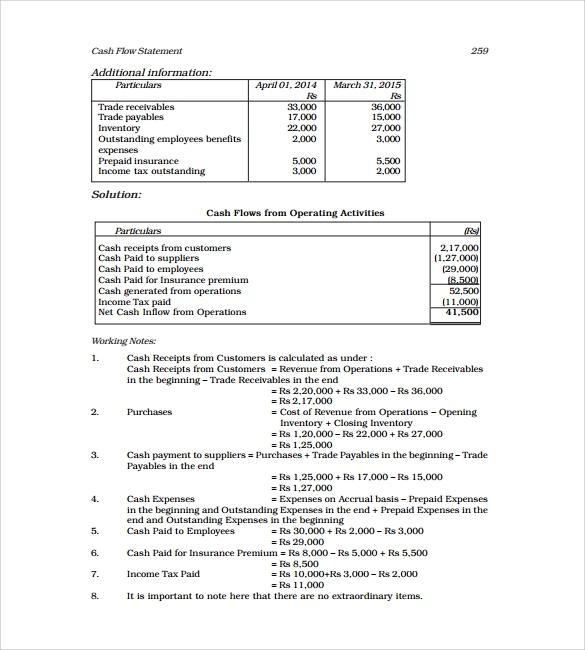 If you want to be creative and if you want to stay ahead with technology and trends then you should use statement of cash flows templates for your business financial analysis requirement. The simple appearing template will fulfill all your needs and will provide you the best opportunity to get most detailed and accurate results of your analysis in shortest period of time. You don’t need to spend hours in this analysis anymore because you have better option of Satement of Cash Flow template for this purpose. You can simply download the template and enjoy using its features for free. There are certain calculations that allow a company to know the procedure of income increase and decrease along with necessary stats. This takes notably long time but you can shorten the time requirement by choosing statement of cash flows templates for this purpose. Templates will allow you to get better work quality and all your task will be done so quickly that you cannot even imagine. These templates will allow you to calculate the income states. These templates will highlight all the changes that have occurred in the equality and liabilities of company. It will also provide details of solvency and liquidity of the firms. 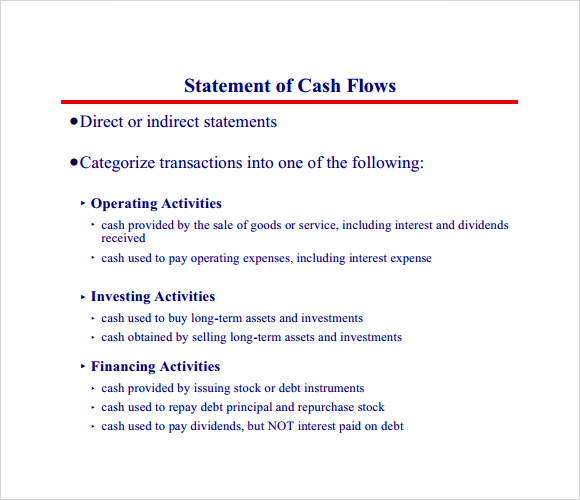 Basically, all the information that you need will be present in simple statement of cash flows templates. Downloading templates will solve all your problems and will provide you best results of your analysis and research whenever you need it.